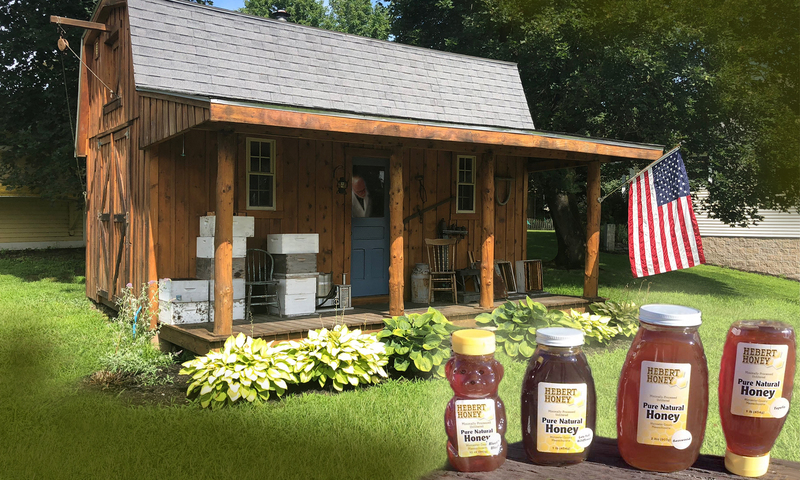 Hebert Honey was founded in 1990 with one hive in Danielson, Connecticut. Since then we have grown to be one of the finest Natural Product manufacturers in the northeast. The founder, David Hebert, was born in Brockton, Massachusetts and with the exception of time spent in the U.S. Navy Seabees has always lived in New England. After graduating from Springfield College he worked as an Executive for the Boy Scouts of America, as Superintendent of Parks and Recreation, and after a twenty four year career with the U. S. Army Corps of Engineers as a Park Ranger and Park Manager, settled in Oxford Massachusetts. Dave’s rich background in nature and the out of doors developed a respect for all things Natural. 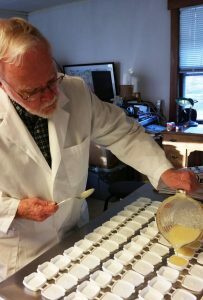 Having raw materials at hand from his beekeeping operation has lead, over time, to the creation of a line of products for the whole family that are wholesome and 100% natural. Hebert Honey will continue to offer these products to you with no minimum purchases required. If you would like to have any of the products packaged in larger size containers or made without scent, please let us know. We are sensitive to your special needs and want to make it possible for you to use and benefit from our Natural Products.